Intuitive massage, massage and healings can be experienced on there own or can be completely tailored using techniques from all modalities in your own unique treatment. Balinese Massage influence of traditional medicine systems of India, China and South East Asia this massage is a deeply healing and a very relaxing treatment using aromatherapy oils. Cupping is an ancient form of therapy which had been dated back to the Egyptian, to help with pain in the body, inflammation, blood flow, relaxation and used as a form of deep tissue massage. Crystal Healing, has been used for centuries to release mental physical and spiritual blockages stored within and out side of the body. When a crystal is placed near or on the body there is a powerful energy surge that transmits the frequency of the healing properties with in the crystal to your own body. Chakra Balancing is a process of restoring the harmonious flow of your bodies energy field, creating a deep sense of reconnection and will bring you to a natural state of balance, grounding, energised and more awareness throughout your body. Flower Essence This is a form of vibrational medicine working energetically and activating your own bodies ability to heal its self, and to unravel your spiritual and emotional imbalances. Natal Pre-Post: Provides relaxation by relieving stress on joints, eases neck and back pain, relaxes and provides flexibility to birthing muscles as well as aiding in the circulatory and lymphatic systems which can keep blood flowing to both mother and baby. Reiki Light pressure around the body is monitored to respond and identify where the imbalance lies with in your energetic system. Helps to release blocks maintains balance and prevents disorders. Speeds up physical healing, minimises pain and boosts your overall energy levels. Sekim pronounced ( say keem ) A very loving energy which is similar to reiki, but the energy is softer more gentle like a feather touch, a warm embrace and deep feeling of support. A more feminine energy of mother buddha, Kwan yin. Works on your aura connecting you with your higher self to establish healing on the physical mental and emotional spiritual bodies. Reflexology: Has been practiced in China since 2330 BC, the feet are considered to be the map of the entire body, by applying pressure to certain zones on the feet you can pretty much determine which areas of the body are out of balance. These areas correspond with the varies structures and organ throughout the entire body. Reflexology promotes a deep relaxation, lowers blood pressure, improves blood pressure and circulation helps cellular nutrition removes toxic waste and awaken your parasympathetic nervous system, good for anxiety and depression fear pain and nausea diarrhoea and constipation. Shiatsu Massage Meaning finger pressure works along our energy meridians line’s located around our bodies these lines have vital points that work with our inner powers of balance and healing. Shiatsu can be used for relaxation or to address migraines, back pain, digestive elements, low energy, anxiety, depression, reduces stress, treats physical and emotional conditions. Thai Massage Developed by the Buddhist monks 2500 years ago using a combination of acupressure, Indian Ayurvedic principals and assisted yoga stretches. Gentle pressure is applied along the bodies energy sen lines (similar to the Chinese meridian lines) to increase flexibility relieve muscle and joint tension and pain to balance the entire energy systems of the body. Considered by some to be the “lazy mans yoga” Treats tension throughout the body, improves circulation, balances and increases energy, reduces stress, headaches, neck pain, strengthen joints, posture and breathing. Great for relaxation and increases your flexibility. Remedial Massage A holistic treatment with a firmer style of therapy to relieve and help speed up the bodies recovery due to musculoskeletal problems and conditions related to injuries. Muscle tension and spasms can refer pain to other area’s of the body, so remedial massage can encourage your own bodies healing from techniques of deep and soft tissue, trigger point therapy and sports massage, stretching and cross fibre techniques to treat muscle tightness, skeletal dysfunctions, whip lash, arthritis, frozen shoulder, neck and back pain, sports injuries, scoliosis, headaches, sciatica and carpel tunnel and general aches and pains. Vibrational Medicine also known as sound healing: uses voice, Tibetan singing bowls, bells, rocks, sticks to lift you up from with in giving you a deeper sense of relaxation and stimulates a profound healing effect. Yoga is an overall complete healing system for the mind, body and soul effecting your physical mental and emotional bodies, using techniques of breath control, mediation practices and physical postures to promote a deep sense of wellbeing, relaxation and health through the entire systems of your body. Through practice you will begin to notice a profound different within your body, from getting a better nights sleep, clarity of the mind, improving your posture, to regulating the functions of your inner organs, flexibility, a greater sense of peace and self awareness and overall happiness radiating from with in your being to giving you more energy, better concentration, body awareness, muscle strength, lowering blood pressure, improving your balance, releasing tensions, preventing and helping you with digestive issues, protecting and strengthening spine and structural system, boosting your immune system, draining your lymph nodes and building a stronger more supple body through regular practice. 30 minute CUSTOM: made flower essence’s made for the emotional needs of your body. A short consultation to begin with finding out what it being triggered with the body what needs clearing, time now to sit and go through the flower cards to see which cards you’re resonate with. A small card reading to get to the truth of the matter then I will make up your own personal reik and sekim infused rescue remedy, a couple of drops under the tongue with a small healing before you go. 30 minute REALIGNMENT Straight onto the table for this one! Shiatsu, tuina and energy techniques are applied to your body to rebalance and realign you through your energetic and physical bodies. 45 minute FOCUS: are you needing, just a little time to get to the root of the problem? Are you looking for fast results? A mini evaluation to begin with to see what going on with in your body and then we go straight to the root of the problem area using an array of different techniques depending on what your body is needing on the day. 90 minute DREAM: Allow all your senses to completely soften, letting go of all your stresses as you allow yourself to drift away to the sounds of the Tibetan bowls, essential oils of lavender, sweet orange and may chang will be applied to the body using deep relaxation and lymphatic techniques. Crystals will then be placed intuitively on and around your body as you drop even further with some energy healing. 2 hour INDULGE: A hot stone massage like no other using heated crystals that are placed on and around the body. These crystal are used to massage around the body a firmer style relaxation experience to melt away all tension, your senses will then experience a different sensation as you enjoy a nourishing infusion of essential oils, plant extract, clays, jojoba wax beads and rose water in a organic facial. Emma Guthrie is a massage therapist and healer dedicated to offering carefully selected, personalised treatments for clients. Emma has over twenty years’ experience in the healing and health industry. She has recently returned to Australia after spending three years on a spiritual quest for greater knowledge and further education travelling to sacred energy sites around the world. 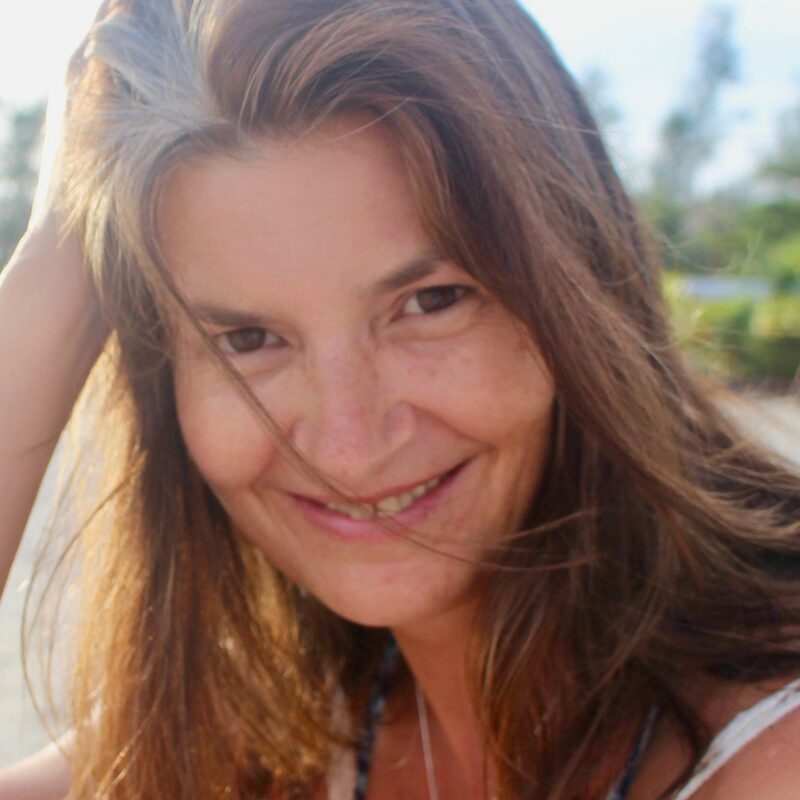 Emma has worked with and along-side of Chinese Doctors, Chiropractors, Osteopaths, Physiotherapists, Yoga and Pilates teachers, Personal trainers, Shamans, Healers, Mediums and Elders. And worked in various places from sports clinics, day spas, natural therapy centre, yoga and pilates studios markets stalls and corporate events. As well as running her own successful business before leaving Australia. Over time and with the insight of her vast experience Emma has developed unique techniques that aim to help her clients achieve a greater understanding of themselves and through their body’s communication, to heal. Certificate in Chakra, healing & balancing. Certificate in Lomi Lomi Massage. Certificate in Sacred circles and ceremony. Yoga 200 HR Teacher training. Yoga advanced 100 HR Training. Agama yoga level One 150 hrs of Chakra, Hatha, Kundalini yoga foundation course Thailand. Emma is quiite simply the best masseuse – in terms of range of technique, intuitive insight, enjoyability and even occassional breakthrough moments and emotional releases that I had not previously though possible on a massage table – I have ever encountered. I have been lucky enough to sample the skills of many all around the world including California and top Spas and have yet to find anyone who offers the depth and quality this beautiful soul brings. Highly recommended! Emma is a fabulous massage therapist and all round divine woman. She really puts her heart into her work and gives you 100% of her focus during the treatment. It’s not often you truly feel nurtured by a therapist these days but you do with Emma. She’s very intuitive as to what your body needs and can tailor the treatment to suit. Her packages are blissful. I’ve sent many people to her, several of whom are now long-term clients. I have been treated by Emma for over 3 years. Emma provides a range of treatments all which have provided great benefit and relief to me. I highly recommend Emma whether you are looking for a remedial, deep tissue or relaxing massage. Emma Guthrie is an excellent multi-disciplined masseuse who utilizes a variety of techniques and skills to provide a most relaxing and healing massage. I have received her services regularly over a 2-3 year period and I am still yet to find a better masseuse. I highly commend and would recommend her services for the quality of her intuitive skills, her deep tissue massage technique and for her remarkable healing abilities and kind nature.